Talking to people about London, I mostly find that they have “done” the usual rounds: Houses of Parliament with Big Ben, the Eye, Hampton Court, Madame Tussauds, Oxford Street… And while some of these places are unavoidable (Big Ben, hello?) and have their own indisputable sightseeing merit, I can’t help but wonder at all the people who pay exorbitant prices for wasting time standing in lines and jostling with thousands of other photo-hungry tourists when they could have the same, if not better, experience for free, or at the very least hassle-free. Would you rather get a sweeping view of London from Primrose Hill, for free, breathing fresh air in a wonderful park and mixing with the locals, or would you wait 45 minutes to an hour in a queue beneath the London Eye and then get in the gondola with 25 other people who will crowd at the window and elbow you to get the best picture, all for some twenty-odd minutes of stifling air at over 20 pounds per person? Would you wrestle with frenetic, hysterical women who will literally trample you underfoot on Oxford Street over a last pair of size 37 pumps for 10 quid at Primark, or would you rather stroll along Kensington High Street, taking your own sweet time at virtually the same fashion outlets where there are only 10 other people beside you in the store? Would you take the Tube to Camden Market, seeing nothing on your way and maybe having to change between several lines, or would you rather glide leisurely for 45 minutes on a canal in a narrowboat, taking in beautiful houses and gardens and seeing a side of London you never even took into account? You get the picture. If, like me, you are the kind of person who breaks out in a mental rash when you come to a place swarming with nervous, expectant people, usually followed by their hyperactive brood, then this little trip list of 10 unique, cheap or completely free London experiences is just for you. Take my word for it – strike out on your own off the beaten tourist path, and you might find yourself actually enjoying your trip, instead of just doing the obligatory sights and feeling exhausted and miserable at the end of the day. Many companies operate tours along the Thames between Westminster Pier and Greenwich, but only one goes beyond Greenwich to the Thames Barrier, and that is Thames River Services. You can purchase tickets in advance online, or at the TRS kiosk on Westminster Pier, and if you have a valid Oyster card, you get one third off the regular ticket price. The boat makes two stops along the way, at St Katharine Pier just off Tower Bridge, and at Greenwich, and if you have a return ticket, you can get off at either stop and then hop back on later. The trip is worth every penny as it makes a great introduction to the city and lets you view remoter parts of town that you would probably not include in your normal itinerary, such as Canary Wharf, Isle of Dogs ad Wapping, which have undergone major development in the past 10 years. We opted to make a stop at Greenwich and spent a good part of the afternoon there. If you can afford to set aside the better part of one of your days in London and would like to escape the crowds in West End, Greenwich makes for a perfect little escape. This quiet and picturesque village in southeastern London offers plenty to do and see, and is particularly recommended if you have kids, as they will find the Greenwich Observatory very entertaining. 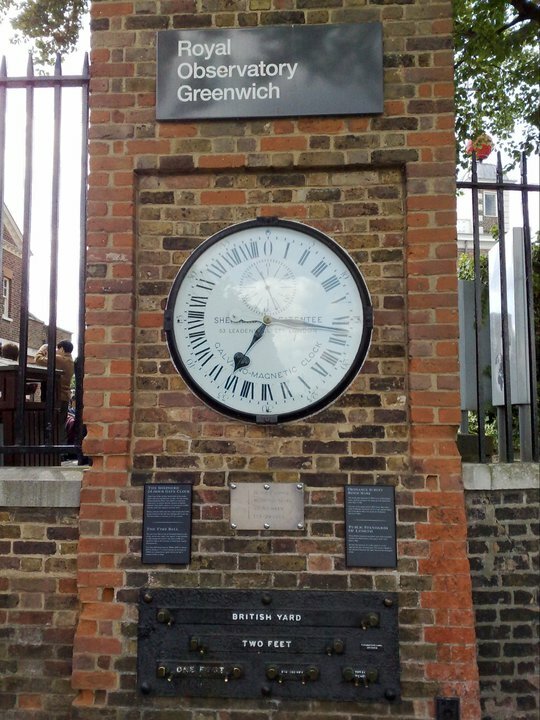 If you arrive to Greenwich by boat, as you get off the boat at the Pier just proceed straight up the street that starts from the pier (The Avenue, I think) and it will take you about 10-15 minutes to reach the Observatory, perched on top of a hill in the middle of Greenwich Park. The Park itself is beautiful and you’ll find many people playing, sleeping and eating on it. If you want to make another stop en route, there is Greenwich Market (clearly marked) in an enclosed space just off that main street climbing up from the pier, with numerous stalls selling antiques, jewellery, vintage clothing, etc. and interesting shops. There is also a food court within the market space where you can grab something to eat. Apart from the Royal Observatory, you can visit the Old Royal Naval College, the Maritime Museum which hosts regular projections of interesting documentaries and films related to travel and exploration, and the Queen’s House. Entrance to the astounding Observatory is free and provides several hours’ worth of entertainment and mind-boggling curiosities, from the Planetarium to the Meridian Courtyard to the display of John Harrison’s famous clocks. From the little promontory in front of the entrance to the Observatory you get a breathtaking view of the northern side of the river, with the Docklands and Canary Wharf laid out in front of you. The London Waterbus Company (information available online) operates hourly services from April to October between Little Venice, a canal intersection off Paddington Basin, and Camden Lock, one of the oldest parts of Camden Market. The canal boat makes a slow trip along Regent’s Canal, stopping at the back entrance to the London Zoo in Regents Park, where passengers wishing to visit the Zoo can disembark and then get back on later. The trip takes around 50 minutes one way and is a fascinating way of seeing one of London’s busiest trade routes in the 19th century, not to mention the beautiful Georgian and Victorian houses you pass along the way. Little Venice is in itself worth seeing because it represents an incredibly quiet, lovely spot in central London overlooked by tourists. 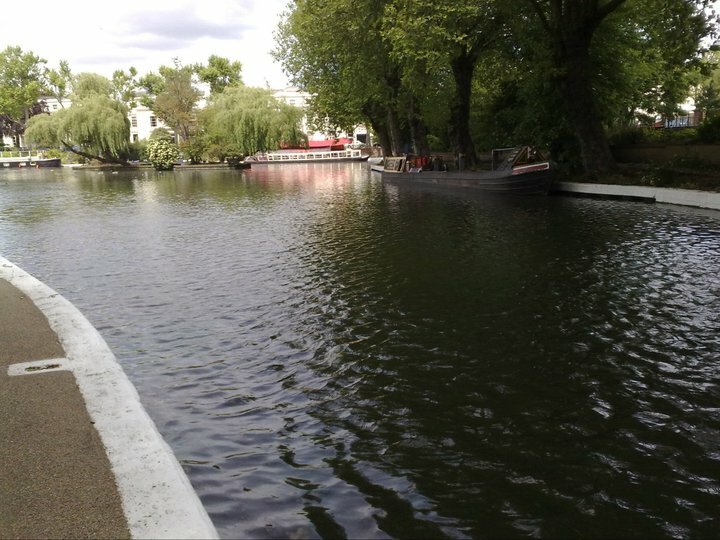 You can have a drink or food in one of the riverboats and enjoy the views of Grand Union and Regent’s Canals, as well as of Browning Island set in the middle of the Little Venice basin. 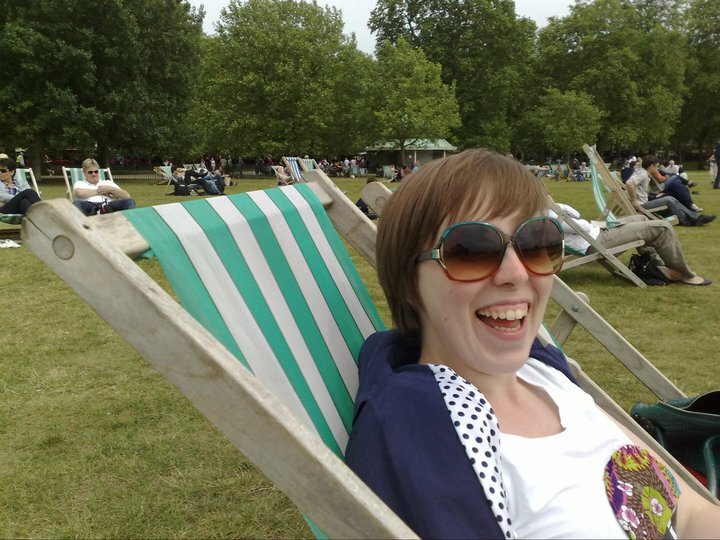 Bring food and drink and a blanket, or just hire a chair for 1.50 pounds, and enjoy a romantic picnic or an afternoon out with friends at this huge expanse of green in the heart of London. The atmosphere is incredibly relaxed, everybody minds their own business and despite so many people being near each other, it’s quiet. Highly recommended for taking a break from all the sightseeing. Rent a folding chair, relax and watch planes flying over London. Another beautiful and huge park in the heart of London, separated from Hyde Park by the neighbourhood of Knightsbridge, and more manicured than the latter. It also boasts an important sight, the Buckingham Palace, which makes the site that much more crowded by tourists, but you can always escape into the park and find a shade beneath one of the beautiful trees. Again, picnickers abound here, but many people come just to have a nap or bask in the sun. Off Liverpool Street station and the Spitalfields Market, Brick Lane is essentially a stretch of cool vintage and young local designer shops, eccentric bars and some of the currently hippest clubs in London. A very interesting offshoot of the Brick Lane Market is the Sunday Up Market, located on the premises of the Old Truman Brewery, which, as its name suggests, is best visited on Sundays, but many shops are open during the week as well. There is an excellent food hall and the Rough Trade music shop just off Brick Lane. The entire area is buzzing with young people and there is a distinctly artistic, bohemian feel to it creating a very laid-back atmosphere. This Notting Hill attraction needs no special introduction, just a warm recommendation. Swarming with people on weekends, it’s best enjoyed during the week, and you’ll certainly need to set aside the better part of one day to walk the length of the market and have a couple fuel stops.The community living and working around this part of Notting Hill offers a nice little study of immigrant London, as there is a definite international feel to it, a strange mixture of bohemia, poshness and people simply struggling to make a living in London. 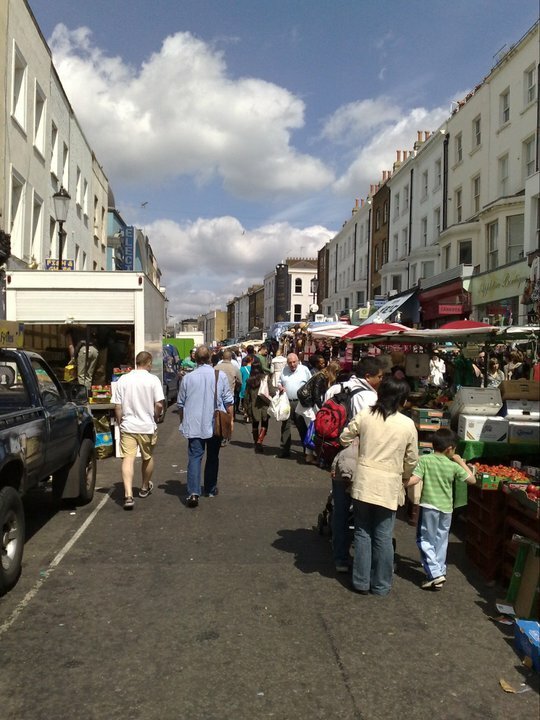 Bustling Portobello Road market in Notting Hill. If you like shopping but don’t want to get murdered by the crowds on Oxford Street, head to Kensington High Street instead. It sports virtually the same outlets (H&M, Zara, Topshop, Dorothy Perkins, etc.) but there are few people on the street and in the shops, especially on weekdays, so you can go about your shopping calmly, with no queuing in front of changing rooms or payment desks. Just off the High Street to the north is leafy and beautiful Kensington Church Street, with more individual stores and nice little pubs and eateries on side streets. Walking along the transformed South Bank from, say, Golden Jubilee Bridge to Westminster Bridge, or from the Millennium Bridge to London Bridge, at sundown and in warmer weather, is a very pleasant experience. The soft light of the dying day suffuses the buildings along both banks of the river, the lights start to come on in the bars and restaurants dotted along the waterfront, and there is something quite poetic and Continental in that picture. There are a lot of people but it’s not crowded. 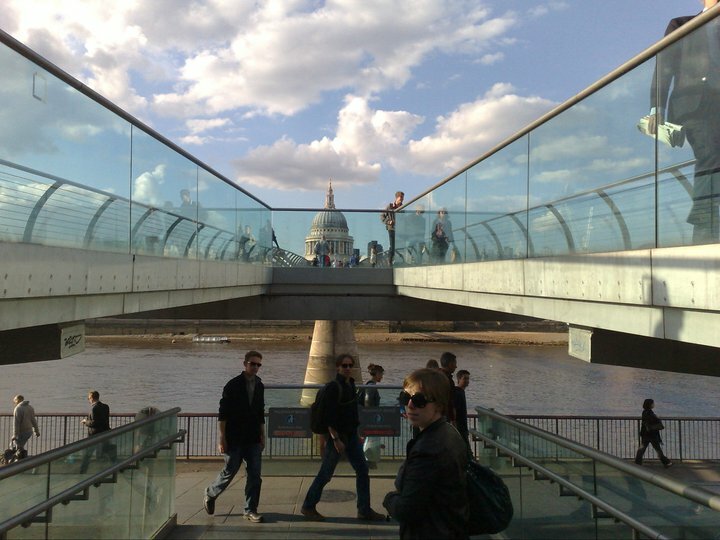 Depending on the section of the bankside you’ve decided to walk, there are also a number of sights to catch your eye – the Millennium Eye, City Hall, the Houses of Parliament and Big Ben, or alternatively, Tate Modern, Shakespeare’s Globe Theatre, the dome of St Paul’s Cathedral. The city is exceptionally well lit and any bridge you decide to cross will do it justice. And best of all, it’s completely free. All along the South Bank promenade. All pictures in this post are mine. If you would like to use any of them, kindly mention where you found them. Very nicely written and very informative! Greenwhich has been one of my favourite places when I studied in London! I did not know about all the river cruises there though. Reading your article I think it’s time to go back soon – been too long! Thanks, Lunatique! I’m glad you found it useful. I have a very special relationship with London and it remains my favorite metropolis to date, but I’ve only ever been there once, in 2009, so I’m dying to go back.